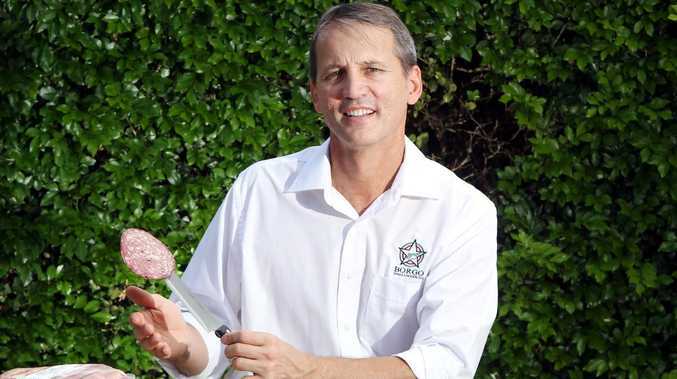 LUIGI Borgo's family has been making Italian salami in Queensland for half a century. So imagine his shock when an Italian multinational food company attempted to stop the family business, Borgo Salumi, from using the logo they have had for 30 years. Trouble started when Borgo attempted to register the company's distinctive star-shaped logo as a trademark. That raised the hackles of Italian food giant AIA, or Agricola Italiana Alimentare, which has a registered trademark that also features a star-shaped logo. Thankfully common sense prevailed with the Australian Trade Marks office finding that there was no grounds to argue that consumers could mistake the two logos. While both logos use a star, the different business names in the middle of the logo meant they were not similar. AIA has a small presence in Australia, primarily because food safety laws prevent it importing most of its product range. For Borgo, who used law firm Macpherson Kelley to argue his case, the lesson for all businesses is to register logos and not assume they are automatically protected just because they have been in use for a long time. It was an expensive oversight, costing the business almost $100,000 over a two year period. Borgo Salumi was founded in 1966 by Ivo and Antonietta Borgo, Luigi's parents, who moved to Queensland from Melbourne after a holiday at Surfer's Paradise. Borgo, which now produces 500 tonnes of salami each year from its Holland Park factory, still uses the traditional curing method for its products which are stocked in independent supermarkets and delis across Australia. 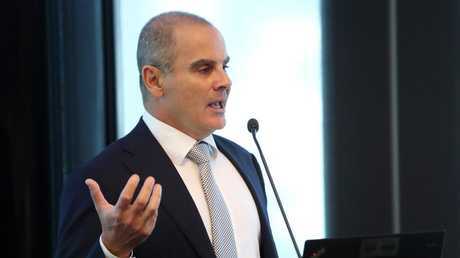 JAMIE "Working Class Man" Pherous was spotted at a UBS investor gathering in Sydney talking up prospects for his battered Corporate Travel Management (CTM). With the company still under fire from short sellers VGI Partners, the shares are down about 33 per cent from a high earlier this year, closing on Tuesday at $22.23. Pherous told the gathering that following a series of "red flags" raised by VGI, accounting giant EY had given CTM a "big green tick" on its operations. Interesting to note however that neither CTM or EY has provided a detailed report of those findings beyond the brief commentary that accompanied an ASX release last week. 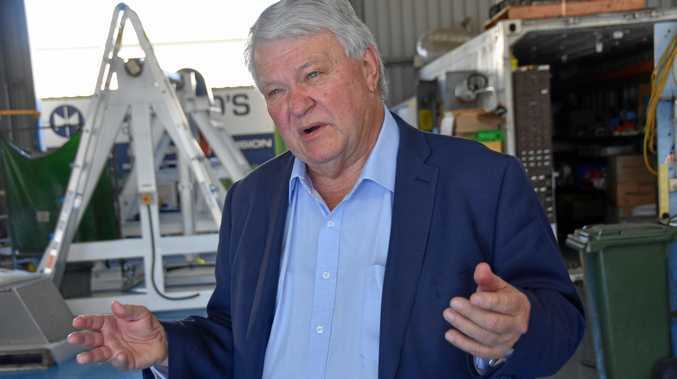 Market watchers also have noticed that CTM chairman Tony Bellas did not join Pherous and fellow director Admiral Robert Natter in buying shares last week. CITY Beat's holiday budget rarely extends beyond fish and chips at Sandgate so it is good to live a little vicariously through Brisbane girl-made-good Cathie Reid. The founder of cancer clinic chain Icon Group has been spotted breakfasting with none other than Sir Richard Branson on his luxurious Necker Island in the British Virgin Islands this week. No doubt space travel was discussed over the ham and eggs with Reid aiming to be one of the first aboard Branson's Virgin Galactic, the world's first planned commercial space flight. A REMINDER that not everyone in the world goes to the toilet in the same way. A City Beat reader tell us he was visiting a convenience store on the Gold Coast when he noticed a sign in Chinese with an accompanying illustration warning people not to stand on the toilet seat. Many toilets in China remain of the squat variety meaning they don't have a raised seat like those in the west.